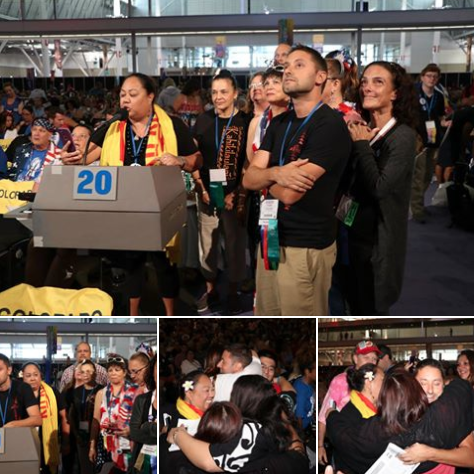 The NEA’s article stems from a resolution that was passed by its delegates who met at their annual convention in 2017 in Boston, Massachusetts. Mahalo for this monumental effort, Keanu! Mahalo nui loa and ALOHA, Keanu!!! You and others have resounded this beautiful message for ALL of us to know. 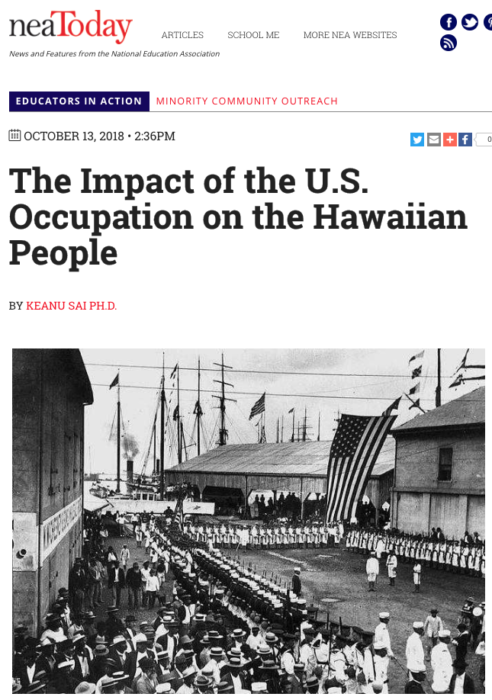 FOR US, to Keep On being EDUCATED with our HAWAII`S History and be `ONIPA`A KAKOU, forever!!! Each of us are responsible to our Queen Lili`uokalani and to those of the past, when our time comes! Aunty Ceci and Uncle Francis from Pukuilua, Hana, Maui.